Have you wondered what it would be like to provide massage service at Wake? We interviewed our Sanctuary Teams Manager, Jenny Gray, about her experience working at Wake Foot Sanctuary as a massage therapist. 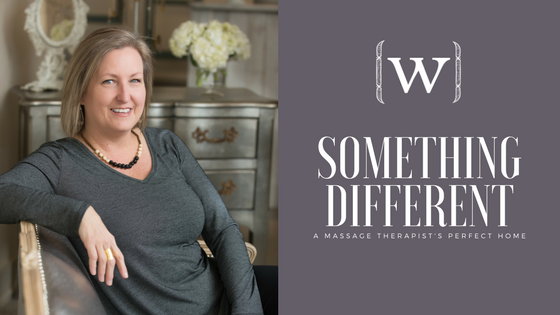 Read below to find out why Wake became a massage therapist’s perfect home. How long have you worked at Wake? I’m a massage therapist and the Sanctuary Teams Manager. So, in addition to serving guests and providing massage, I’m part of the leadership team here at Wake. I help with interviewing, training, and general supervisory duties that involve the massage staff. We have an amazing team of therapists, so it’s a pleasure and privilege to work with them in this capacity. What was your perception of Wake when you first started? I was impressed right away. I appreciated that the whole team seemed genuinely invested in making Wake both a great place to work and also a great experience for the guests. I talk about finding balance a lot and Wake seemed to have that right balance between being a professional, well-run business and a fun, supportive, happy place to work. That certainly continues to prove to be true. I’m constantly amazed at just how beautifully that balance works here. What does your outlook on your Wake life look like now? Well, this quickly became so much more than a job for me: It’s become a career and a passion. I’ve always loved doing massage but never quite found the place that felt like the right fit for the long run until I found Wake. Professionally, Wake offers growth opportunities that have allowed me to see that I can continue to grow with the company and find what works for my long-term goals. Personally, I know I’m in a place that is supportive of whatever those goals might be for each individual, and where every person here is an integral and appreciated part of a true team. It’s a beautiful thing! I’m happy to say I’m no longer looking for greener grass. The stability I’ve found at Wake has made me finally feel grounded enough to buy a house and put down some roots. I honestly look forward to coming to work each day, and I look forward to finding out where this Wake journey is heading next. What are the biggest differences between Wake and other places you have worked? Where do I even start?! Obviously, the services we offer to our guests are wonderfully unique and special. The focus on teamwork and the genuine drive that everyone here has to work together to make this place amazing is unlike anything I’ve found. We love this place, and I think that shows in how we treat each other and our guests. Here I can make a good living without having the headaches that come with owning my own business or working my body too hard doing back-to-back table massage. And the potential to grow with a thriving company that is successful and dedicated to its employees is a great thing for me. I’ve been a massage therapist for over twenty years, and I’m pretty happy I finally found my Wake family. What would you say to someone who might be on the fence about whether or not to apply? I guess I’d say “What do you have to lose?” Interviews are a great way to see if Wake might be the right fit for you. We’re different. What we do is different. We think it’s really special and we have a great opportunity to offer the right person. What are you looking for in a great teammate at Wake? Someone who is dependable, confident, hard-working, and likes being a true team player. We appreciate all kinds of personalities but all of our team members are genuine and have a real desire to serve. Bonus points if you love feet! Are you looking to make Wake Foot Sanctuary your perfect home? We’re always looking for talented massage therapists. See our careers page for current hiring information.